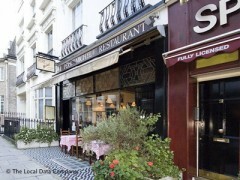 About: Pere Michel serve a variety of French dishes at their restaurant. My husband and i recently took a trip to London, with the intention to book ourselves into a nice place to eat, we only had a few days, we both have a passion for good food, we really wanted to enjoy every moment of it, instead we decided to take a stroll from our hotel and came across this little gem! Food was amazingly delicious, very filling! wine was truly lovely, the waiter was very friendly service was brilliant and the price for all this was so reasonable - my friend has gone to London this week- i've sent her there and we will most certainly be back to sample some more delightful food. This is a small place, with amazing french food.It is reasonably prices,staff are kind and friendly.portions r small,but filling! !the place is a must go,if u love expensive fish4good prices! !oh and its not a long wait4food! !